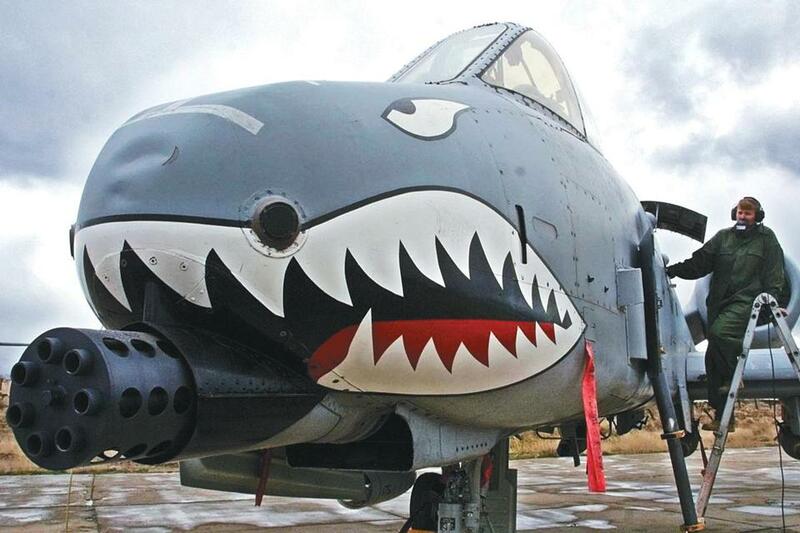 The A-10 found new life after 2001 supporting ground troops. It is credited with coming to the aid of countless soldiers pinned down by enemy forces in recent conflicts. WASHINGTON — Secretary of Defense Chuck Hagel says the Air Force plane nicknamed the Warthog is too old and too costly. So the Pentagon is pushing to retire the fleet of 283 Cold War-era combat jets and shift billions of dollars to more modern weapons. But the aircraft has survived the budgetary ax so far due primarily to the efforts of an unlikely defender: Senator Kelly Ayotte, a New Hampshire Republican. No New Hampshire defense contractors rely on the jet, and the military doesn’t base its fleet in the Granite State. Yet Ayotte has a special tie: Her husband, Joe, flew the plane known formally as the A-10 Thunderbolt II in Iraq, a connection she said has helped in “building a coalition” that includes Senator John McCain, whose home state of Arizona hosts many of the planes. Ayotte and her supporters argue that an adequate replacement for the jet is not yet available, and their efforts could reverse plans to retire the Warthog fleet by 2019. The campaign to save the plane has annoyed top Pentagon officials and spending watchdogs who see it as a prime example of how Congress is handcuffing the military — requiring it to make cuts in defense spending, but forcing it to keep flying outdated jets. Pentagon officials, including Hagel, have testified that if they can’t retire the A-10, the Air Force will have to make cuts elsewhere, including weapons and military training. The Obama administration maintains that retiring the planes will save an estimated $4.2 billion and has told Congress it “strongly objects” to the efforts to keep the planes, insisting that the military will retain several types of aircraft that can do the same job as the Warthog. The White House has also indicated that President Obama may veto any defense bill that forces the Air Force to retain the A-10 fleet. None of this has deterred Ayotte. She is pressing her campaign to save the aircraft on grounds that lives could be lost if the A-10 is retired before there is an adequate replacement. 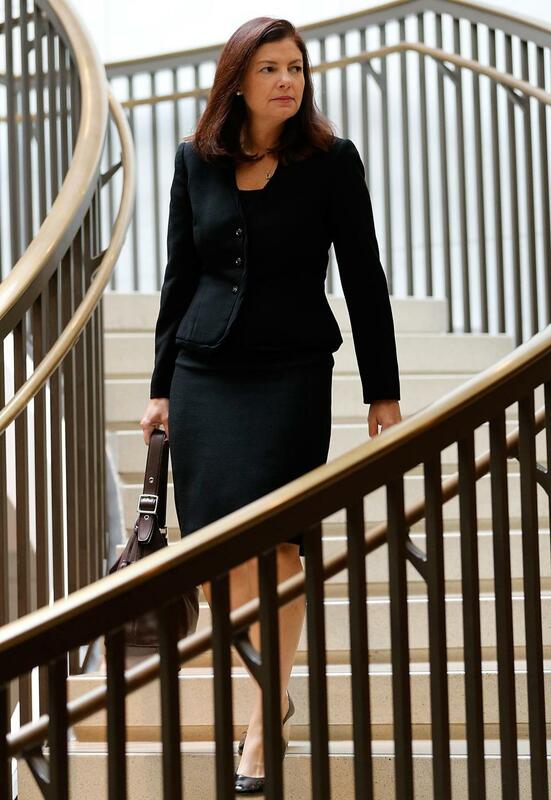 Over the past year, she has enlisted the support of hundreds of fellow lawmakers in both chambers, organized a chorus of current and former A-10 pilots and veterans, and at times played hardball, including temporarily holding up the nomination of the secretary of the Air Force, Deborah James — a move officials are still fuming over. “If there was an equivalent to give that kind of close air support to our troops I wouldn’t be making the same argument,” she added. Senator Kelly Ayotte has enlisted the support of lawmakers in both chambers to try to keep the Air Force’s A-10 fleet in the air. The A-10 was developed during the height of the Cold War to destroy Soviet tanks. It found new life after 2001 supporting ground troops, and a squadron of A-10s from the Indiana Air National Guard was recently deployed to Afghanistan. The Warthog is no longer manufactured; the primary expenses today are hundreds of millions of dollars in annual maintenance and operational costs. Meanwhile, supporters took to social media. A Facebook page titled “Save the A-10,” begun in August 2013, has more than 18,000 followers and appeals to the public to contact their senators and US representatives to urge them to vote to restore funding for the program. The battle over the A-10 has showcased Ayotte’s influence. Elected in 2010, she has becoming an increasingly prominent voice in issues related to military spending. Ayotte is known in Congress as a disciple of McCain, the former Republican presidential candidate who has long been popular in New Hampshire. McCain represents the state where one-third of the A-10s are based and which stands to lose much if the planes are mothballed. McCain, notwithstanding his reputation for supporting Pentagon efforts to phase out weapon systems, remained mostly silent on the A-10 until Ayotte built the momentum for a reversal. McCain did not respond to a request for comment. His press secretary, Brian Rogers, said his boss “appreciates Senator Ayotte’s efforts on this issue” but also insisted that McCain’s support for retaining the plane is not driven by parochial interests. “Senator McCain supports keeping the A-10 in the fleet not because so many are trained and stationed in Arizona, but for the good of the country,” Rogers said. Some analysts have praised Ayotte’s effort. The plane’s fate now depends on deliberations between the House and the Senate, which will both have to vote on a final budget that addresses the future of the A-10. Ayotte said she is confident, noting that she has helped to gain the support of four key congressional committees that oversee the Pentagon. Correction: Due to a reporting error, an earlier version of this article incorrectly stated that Kelly Ayotte’s husband, Joe, served in Iraq and Afghanistan. He only served in Iraq.